Huge congratulations to Kate and Matt who were married at the lovely Friern Manor, Dunton on Thursday 28th August. They chose an ivory and gold themed wedding cake that really fitted in beautifully with Friern Manor’s décor of dark blue, ivory and gold. Their three tiers consisted of Red Velvet cake on the bottom, White Chocolate and Passion Fruit in the middle and another Red Velvet cake on the top (which they were taking home with them!) 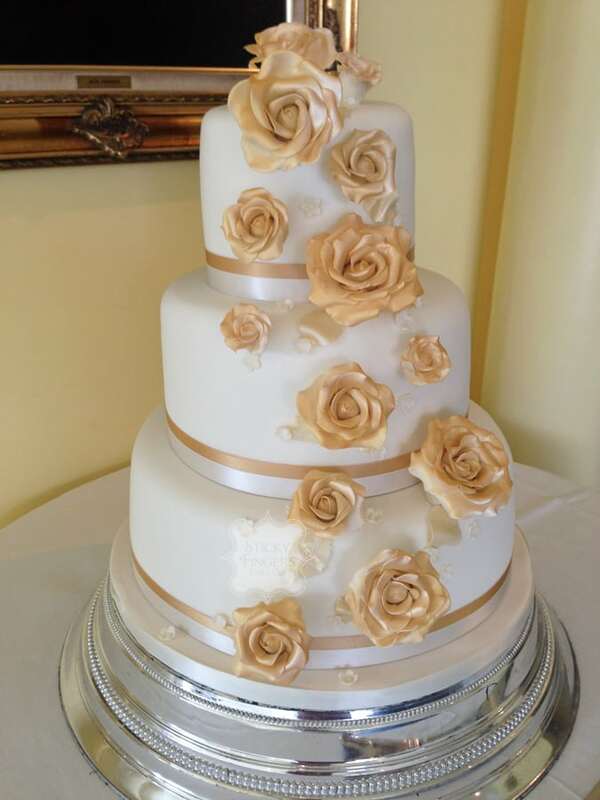 The sugar roses on the cake were dusted with gold edible lustre to give them a bit of sparkle! Have a long and happy life together guys..